In what may be a sign of things to come, the adhesive brand Gorilla Glue Co. has reached a settlement with the Las Vegas-based cannabis company behind Gorilla Glue #4 (as well as #1 and #5). The settlement comes after months of negotiations. According to The Cannabist, under the agreement GG Strains will have to transition away from the Gorilla Glue name, imagery and any other similarities to Gorilla Glue Co.’s trademarks by September 19, 2018. The cannabis company will also shut down gorillaglue4.com and transfer the domain to Gorilla Glue Co. by January 1, 2020. Don Peabody, the grower behind the sticky strain, was trimming his harvest when his phone rang. After the call, Peabody went to hang up the phone, but it was stuck to his hand. It reminded him of the super-strong adhesive, so he dubbed the strain Gorilla Glue. Cannabis has a tradition of naming strains after things or people in pop culture. There’s Skywalker OG, Girl Scout Cookies, Bruce Banner, and Charlotte’s Web, just to name a few. Before widespread legalization, cannabis breeders and growers didn’t need to worry about things like trademark infringement. But with more social acceptance also comes with more scrutiny, and as the market grows, more companies will want to protect their names. The dispute and rebranding effort is estimated to cost the cannabis firm $250,000. New Jersey Sen. Cory Booker introduced the Marijuana Justice Act this week, a bill that would end the federal prohibition on marijuana, as well as begin to address social justice issues that have resulted from the war on drugs. The bill would legalize marijuana at the federal level and withhold federal money from building prisons, along with other funds, from states whose cannabis laws disproportionately incarcerate minorities. Create a “Community Reinvestment Fund” of $500 million to provide grants to communities most effected by the war on drugs. The fund would support job training, reentry services, community centers, health education programs, and more. Plus, cannabis legalization could actually help the current opioid epidemic and reduce overdose deaths, and Booker dismisses prohibitionists’ argument that cannabis is a gateway to heavier drug use. “The evidence that it’s a gateway drug just is not compelling, and the reality is, as I said with the challenges of opioid addiction, there’s some great medical studies that have come out that have shown that actually having the availability of marijuana actually lessens the chances you’re going to have overdose deaths,” Booker said. 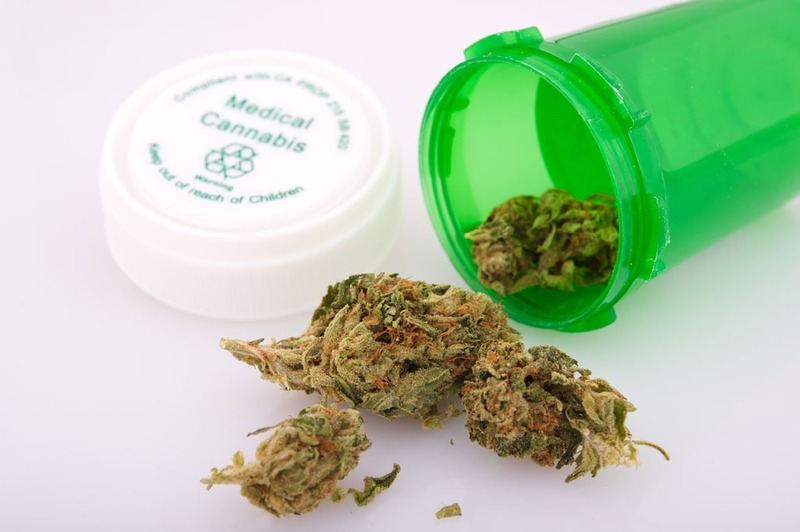 Following up on a hot button issue this week: In a first of its kind ruling, the Massachusetts Supreme Judicial Court decreed on Monday that employers in the state cannot fire employees for medical cannabis use. Cristina Barbuto was fired after her first day at Advantage Sales and Marketing after she testing positive for marijuana. Barbuto has a prescription for medical marijuana to treat Crohn’s disease, something she disclosed to the company after being told that she would need to take a mandatory drug test. Barbuto’s supervisor told her twice that her cannabis use shouldn’t be a problem, as long as she didn’t use it before or during work. Barbuto filed suit against the employer, claiming that her termination violated state anti-discrimination laws. The case reached the state supreme court after being dismissed in 2015. Similar cases have been filed in the past, but have often ruled against the employee. Similar cases have been tried in Colorado, California, Washington, and Montana. In each, the court ruled that employers could fire workers for legal, off the clock, cannabis use because it is still illegal under federal law. “I can’t stress this enough, it’s the first case of its kind in the country,” said Dale Deitchler, a shareholder at world’s largest labor and employment law firm and an expert on marijuana issues in the workplace. The ruling means that the case will be sent back to the Suffolk County Superior Court, the court that initially dismissed Barbuto’s suit. “Undue hardship” would apply, for example, in the transportation industry, where cannabis use would impair an employee’s ability to do their work or endanger public safety. Past cases have been with employees with less physically stressful jobs so this ruling has not yet applied. Let’s hope this means a step forward for cannabis patients’ rights! Vermont Governor Phil Scott (R) vetoed a bill on Wednesday that would have legalized recreational marijuana. The bill would have made it legal for anyone over 21 to possess and grow cannabis. Scott cited concerns about public safety, seeking changes to the bill that would include more aggressive penalties for driving while impaired or in the presence of children. The governor is also calling for an expansion of a commission that would develop a proposal to tax and regulate marijuana. He wants it to include representatives from the Vermont departments of Public Safety, Health and Taxes as well as the substance abuse prevention and treatment community. Matt Simon, a spokesman for the Marijuana Policy Project responded to the governor’s decision, “We are disappointed by the governor’s decision to veto this widely supported legislation, but we are very encouraged by the governor’s offer to work with legislators to pass a legalization bill during the summer veto session. Lawmakers have an opportunity to address the governor’s concerns and pass a revised bill this summer, and we are excited about its prospects.” A new bill could be introduced as early as July. Studies by the Vermont Department of Health have found that Vermont has among the highest prevalence of marijuana use in the country and the second-highest use among people ages 12 to 25. Eight other states, plus the District of Columbia, have legalized recreational marijuana. Vermont would have been the ninth state to legalize recreational cannabis, but the first state to legalize marijuana through a state legislature rather than by public referendum. Nearly 20 states have bills pending that would legalize adult-use marijuana, according to the National Conference of State Legislatures.